Her question came from left field and I wasn’t immediately prepared to answer. A popular fitness and nutrition podcaster was interviewing me about how athletes could stay in peak form at any age. “If you had to pick what 7 foods every athlete, regardless of age, should incorporate into his or her diet regularly, what would they be?” she asked. I love these questions, except I had never really thought about narrowing it down to just 7?! Funny how I could go on and on for 45 minutes about respiratory capacity and the absorb ability of different forms of amino acids and all sorts of other complex science based physiology, yet I couldn’t answer something so simple as to what my top foods would be. After my interview, I wrote down what I said and it’s pretty much what I’d stick to…hence this blog! I think these are practical, versatile, easily accessible foods. Loaded with amino acids, healthy fats, and fiber, I’m a big fan of nuts and seeds for super-busy athletes. I chose these two because they pack amazing nutrient density and provide versatility in salads or as snacks. Pumpkin seeds are especially rich in magnesium and zinc, two minerals crucial for peak performance. According to Dr. Jonny Bowden, author of The 150 Healthiest Foods on Earth, roasted pumpkin seeds have more nutrients, fiber, and protein, plus they just taste way better. Almonds get all the glory, but walnuts provide the highest amount of omega 3 fatty acids in any nut. Because omega 3s can easily become rancid, buy raw walnuts fresh and keep them in the freezer. (BTW, Jonny’s book is a must have for your health library, packed with great info on tons of foods, it’s a go-to resource for me). Training Tip: I use nuts and seeds when my athletes are in need of gaining ‘healthy’ weight or if they tend to lose weight quickly from high volume training. That being said, some athletes (and non-athletes for that matter) can have issues with fast fat weight gain (watch for my Hidden Hurdles to Success blog later this summer on why this is), if that’s that case for you then monitoring the amount of these calorie rich super stars you eat per day is a must! Beef provides an excellent source of iron and other nutrients as well as highly absorbable amino acids. Quality becomes key here. Grass-fed cows yield more nutrient-dense beef than grain-fed cows. Besides being richer in anti-inflammatory omega 3 fatty acids, a study at Clemson University found grass-fed beef higher in conjugated linoleic acid (CLA), a fatty acid that studies show can curb belly fat and even fight cancer. Kids love grass-fed beef sliders on gluten-free buns or atop sautéed spinach. Trust me: Spend the few extra bucks on grass-fed ground beef rather than grain-fed, even if you’re on a super-tight budget. Training Tip: My athletes excel when eating a grass-fed beef hash with All-Star food #3 mixed in for breakfast. Watch my free videos to figure out your dose of protein and you’ll be well on your way to a proper fuel up! I often talk about increased oxidative stress among athletes, and studies show active folks need more antioxidants to combat that oxidative stress. A rock star among unprocessed carbs, sweet potatoes come loaded with nutrients, fiber, and antioxidants like beta-carotene. Because they’re easy to digest, sweet potatoes make an excellent post-workout meal paired with high-quality protein. 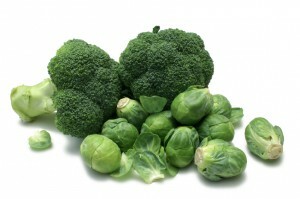 They also make an excellent nutrient-denser alternative to mashed potatoes. You know those kids who always get top marks in every class and still manage several extracurricular sports (at which they also excel)? Well, brassica veggies are those over-achievers, providing amazing benefits like isothiocyanates, a family of phytochemicals that help fight cancer. All brassica veggies get top marks, but I chose broccoli and brussels sprouts because they’re also the most popular kids in the class. Talk about making the grade: They come loaded with fiber, nutrients, eye-health carotenoids lutein and zeaxanthin, and even a little protein. I’ve converted the most veggie-phobic child athlete by sautéing fresh broccoli with coconut oil and fresh lemon zest and roasting Brussels sprouts with olive oil, sea salt and fresh cracked pepper. Picking my favorite berry is like choosing my favorite kid: I refuse to because they all have unique benefits. Raspberries are highest in fiber, blueberries pack the most antioxidants, and strawberries are a nutrient-rich all-around favorite. 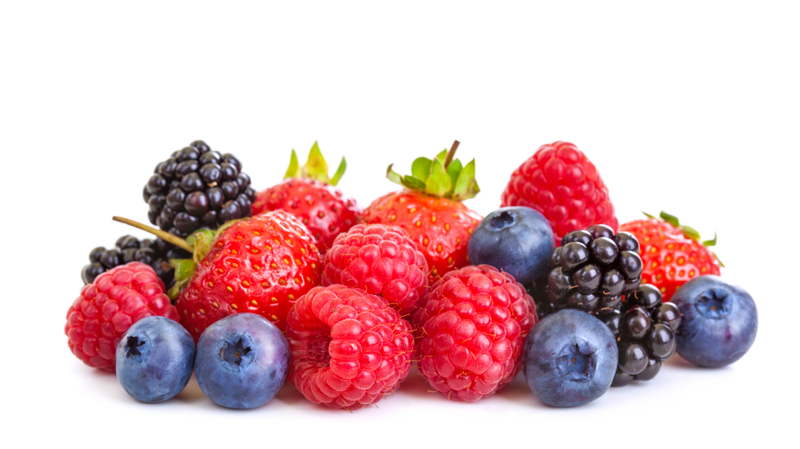 Regardless of color, berries come loaded with fiber, nutrients, and antioxidants. Sweet yet low-glycemic, berries make the perfect snack, dessert, or boost to your protein shake. My kids love frozen blueberries stirred in unsweetened Greek yogurt. Fresh or frozen, berries are among the most pesticide-ridden foods so always buy organic! Most coconut oil and milk benefits come from a very healthy saturated fat (no, not an oxymoron!) called medium-chain triglycerides (MCTs), which your body metabolizes quickly for fuel. Rapid absorption means a quick energy source for athletes: Similar to glucose but without the subsequent crash. A recent study concluded MCTs are “a good choice for anyone who has increased energy needs, as following major surgery, during normal or stunted growth, to enhance athletic performance, and to counteract the decreased energy production that results from aging.” As an added bonus, MCTs contain immune-boosting lauric acid. You perform better and get sick less often using coconut oil and milk: It’s a win-win. I love cooking with coconut oil (it holds up well under high heat) and couldn’t imagine my morning protein shake without unsweetened coconut milk. A can’t-go-wrong source of amino acids, healthy monounsaturated fat, and nutrients. Interestingly, a 6-ounce chicken breast packs more potassium – a crucial mineral often depleted when you sweat – than a banana. Talk about a versatile meat: Grill and chill it for a post-workout meal, toss in a salad for a super-simple meal, serve it as an entrée, or make healthy chicken strips “breaded” with coconut flour for your child athletes. However you serve it, remember happy chickens are healthy chickens. Make sure you buy free-range poultry fed their natural diet whenever possible. Spinach – Another nutrient, fiber, and antioxidant powerhouse that’s incredibly versatile as a salad or side dish. Gluten-Free Oatmeal – “What’s for breakfast” combined with “fast and satisfying,” simplified. Wild-Caught Salmon – An excellent source of high-quality protein and anti-inflammatory omega 3 fatty acids. Bison and Other Wild Game – Ditto above. Organic Omega 3-Rich Eggs – An inexpensive source of nutrients, high-quality protein, and healthy fatty acids. Chia Seeds – Protein, healthy fats, and fiber make these little seeds a triple-threat in your protein shake. Okay, I’ve had my say. It’s your turn. If you had to choose 7 foods that belong in every athlete’s food repertoire, which of them I included would make your list? And more importantly, which one(s) have I not included? Share your thoughts below or on my Facebook fan page.